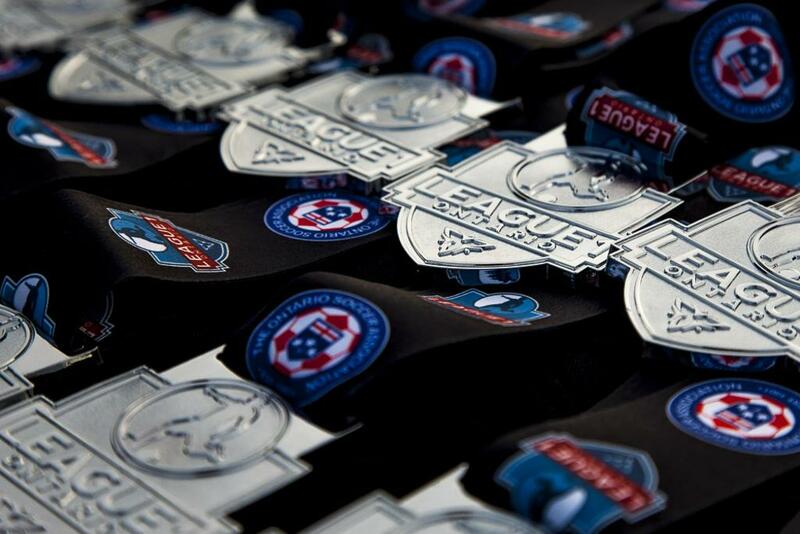 In the fourth of a set of daily League1 Ontario 2016 Awards announcements leading up to the L1O Awards banquet on Sunday November 27, the 2016 Defenders Of The Year have been revealed, featuring two outstanding performers from the 2016 season. These award winners were selected by a committee comprised of technical staff from each team in the league, as well as league officials, and decisions were based on an overall assessment of individual defensive abilities - not simply defensive record of the team as a whole. However, and in so small part due to the contribution of these players, in both cases the players selected were regular starters in their respective division's top four defensive units. 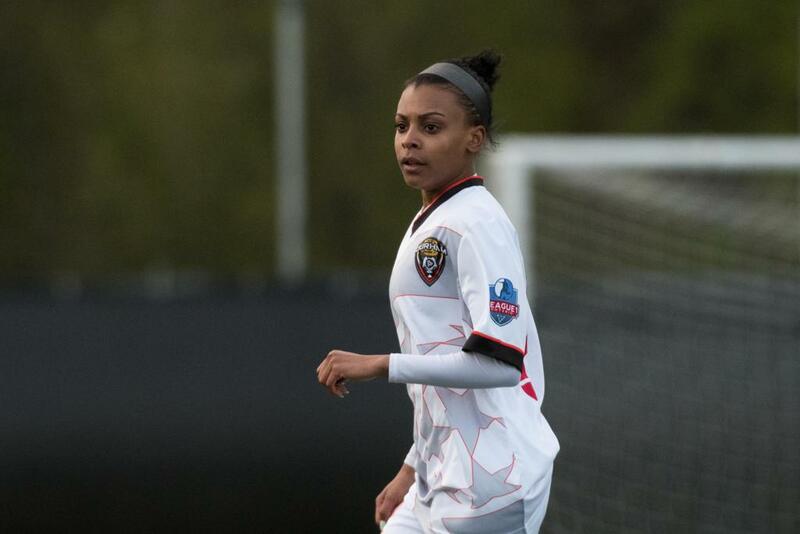 With 877 minutes played over ten league matches and two goals to her name in 2016, full-back Tamara Brown demonstrated why her marauding flank runs and proactive defence were indispensable to Durham United FA - the defending League1 Ontario champions from 2015. Coupled with Madeline Iozzi on the left flank, Durham were able to get width, pace and and quality from their wide defensive players, which in turn allowed their forward players freedom to move and get on the ball. At their best, Durham's quick passing tempo, chemistry between the players, and offensive and defensive power was virtually unplayable in 2016. The loss of Brown to her university program in mid-August left an irreplaceable role in the team. Congratulations to the Durham United FA's Tamara Brown, deserved winner of the 2016 Women's Defender Of The Year! North Toronto Nitros' Niba MacDonald played 1577 minutes over 18 league appearances in 2016, scoring seven goals in the process and anchoring the Nitros defensive line as a stalwart central back. In many ways, MacDonald personified the Nitros' mentality of hard working defense transitioning to lightning quick counter-attacks, and his seven tallies showed an uncommon ability for a defender to get into scoring positions. MacDonald's seven goals was enough for second best in the team scoring charts, behind central forward Killian Elkinson (15 goals) and tied with fellow defender Jayden Doyle. The Nitros were widely considered as one of the top teams to join League1 Ontario in 2016, with their 14w - 3d - 5l record giving them a 2.05 points per game record that was the third highest performance of the nine new men's and women's teams. MacDonald's selection as Mid-Season All-Star, End Of Season First Team All-Star and Defender Of The Year was a phenomenal individual achievement and a credit to his role within this top debutante team. 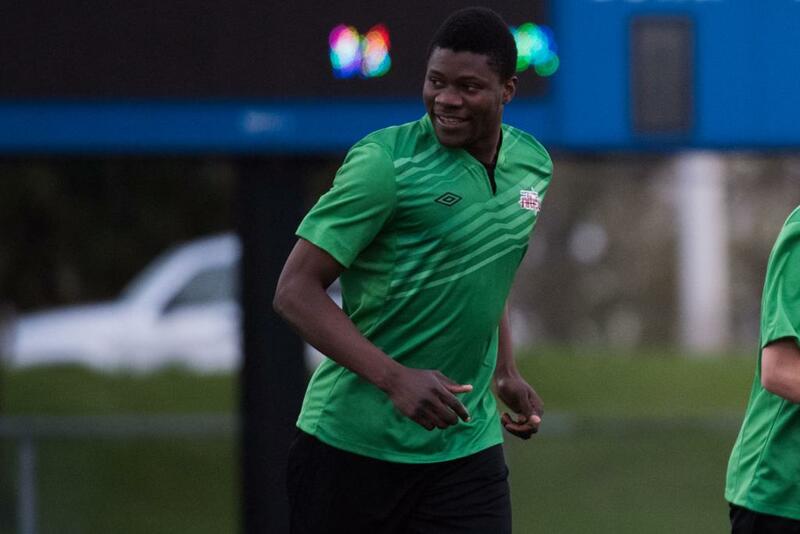 Congratulations to the Nitros' Niba MacDonald, deserved winner of the 2016 Men's Defender Of The Year!